Having written about St. Nahi’s Church here in Dundrum and referred to the Dundrum Library just behind it, I’ll add some information today about the library. 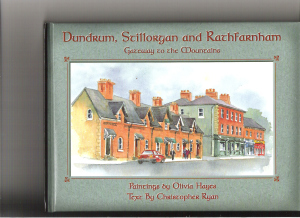 I discovered a book with lovely paintings and informative text about some of the features in our Dundrum/Stillorgan/Rathfarnham area. The paintings are by Olivia Hayes and the text by the late Christoper Ryan. 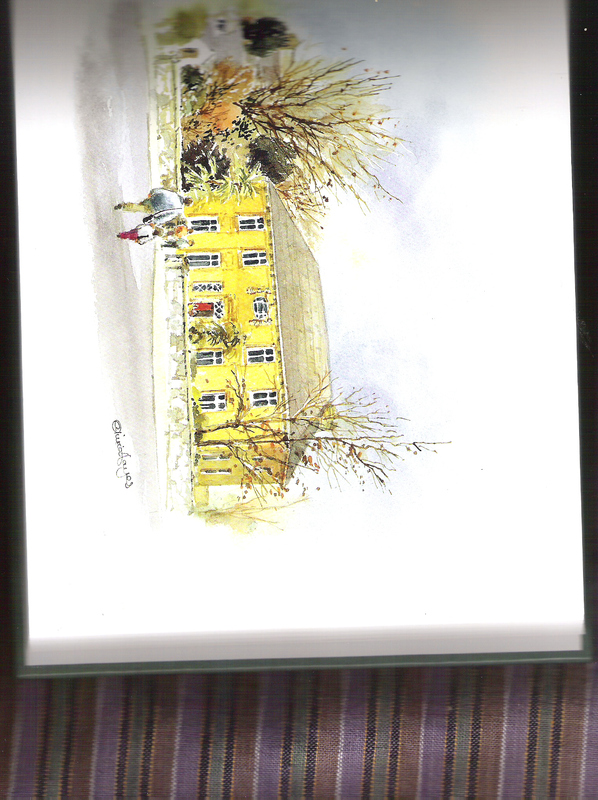 On the cover is a painting of our Main Street here in Dundrum – the terrace of red brick houses is very distinctive. The library in Dundrum is one of the many Carnegie libraries scattered around Ireland, and to be found in other countries as well.